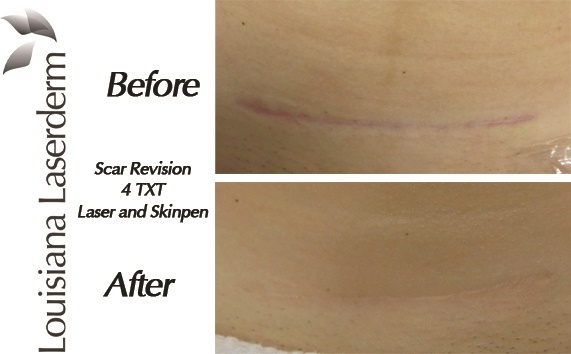 We specialize in improving the appearance of all types of scars; breast augmentation/lift scars, mastectomy scars, c-section scars, as well as any other surgical or traumatic scarring. After a consultation with our specialist, you will receive a customized treatment plan. Ultimately, treatment options utilize the body's ability to respond to injury and rebuild and repair itself resulting in improved texture and color. Based on your specific concern, we will advise you on a treatment regimen to best suite you.